ROCKVILLE, Md. — A draft of proposed mandatory federal guidelines for drug testing using hair samples continues to slowly wind its way through the federal bureaucracy, still months — or perhaps longer — away from being released for public comment. Already missing a congressional mandate by nearly two years, Ron Flegel, chairman of a Department of Health and Human Services advisory board, said he’s “feeling good about where we are” with the hair proposal that has been reviewed by HHS operational divisions and could soon be forwarded for a review by more than a hundred federal agencies. “Once the review [HHS] and recommendations are completed, the proposal then will be referred to [Office of Management and Budget] and sent out to all federal agencies for comment and review,” Flegel, chairman of the Substance Abuse and Mental Health Services Administration’s Drug Testing Advisory Board, told Transport Topics after a Dec. 4 meeting at the Rockville Hilton. In addition to working on the hair testing issue, HHS is nearing completion of final approval for mandatory oral fluid guidelines for drug testing, Flegel said. The hair testing proposal also would need a review by the Department of Transportation and the Nuclear Regulatory Commission, he said. Those issues, which include the impact of hair color and decontamination of hair specimens, have been addressed in the draft proposal, Flegel said. But such explanations have been wearing thin for some members of Congress, as well as a number of motor carrier executives who have become impatient with the agency’s failed efforts to meet deadlines. On Oct. 24, President Trump signed a bill that included a provision requiring HHS to provide an explanation for delays in issuing mandatory federal hair testing guidelines that could be adopted by DOT for safety-sensitive employees such as truck drivers. The bill also requires HHS to report progress on hair testing by Dec. 24 and lay out a schedule, including benchmarks, for completion of the guidelines. Abigail Potter, manager of safety and occupational health policy for American Trucking Associations, said she’s grown more confident in recent months that HHS is doing its best to complete the process. Some motor carriers have been hair testing employees for years, but also have been required to do federally-mandated urine testing of drivers. Not only do hair samples have a longer detection window — up to 90 days — but the samples are collected in an observed setting, preventing drivers from cheating. 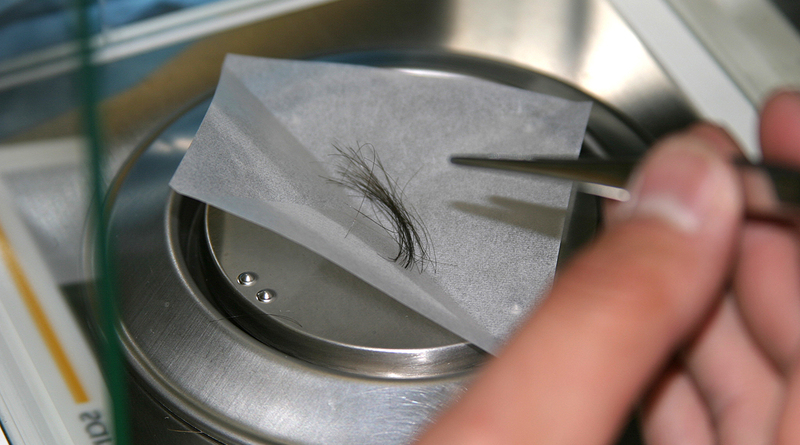 Federal approval of the hair alternative also would decrease the costs for carriers that currently conduct both urine and hair sample tests, as they would be required to conduct just one of the tests. Urinalysis is currently the only federally approved drug-testing method for truck drivers. Although Congress mandated that the hair-test rule be implemented by the end of 2016, Flegel said there still is no established timeline for review of the proposal before it is published in the Federal Register for public comment.